Hybrid Traveling Water Screens use a special drive system to rotate the belt with an electric drill vs. an electric motor or a hand crank. The belt lifts the debris from the water, and the internal self-cleaning sprays nozzles clean the debris into a collection trough or a conveyor. This is a great replacement system for old static water screens (cooling tower rebuild). We can drop-in and replace using the same guide channels. 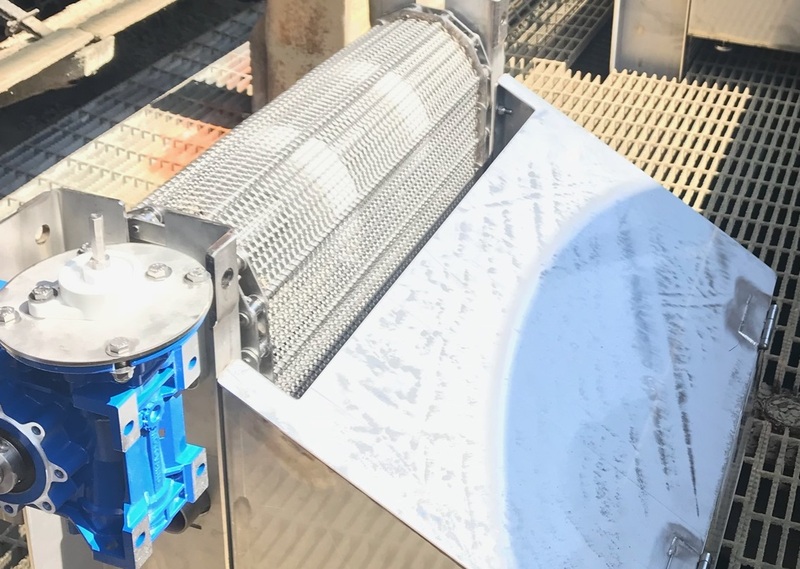 Traveling or Static Water Screens are also referred to as cooling tower screens, fish escapement, exclusion, intake, pump, trash, or bar screens. Cambridge provides custom engineered solutions and manufacturing of new and replacement Traveling and Static Water Screen Systems.